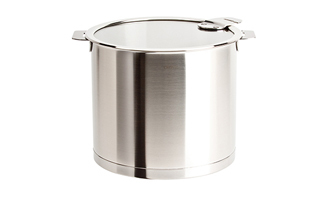 How can Cristel stainless steel cookware help you save time, space & money AND have great cooking performance? 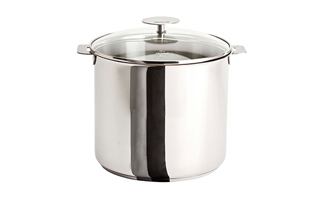 Cristel cookware has removable handles and flat lids so you can easily & compactly store this French-made cookware. 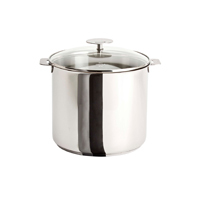 Cristel cookware is engineered to reduce wasted energy and that helps you to save money. Count on great cooking performance from Cristel cookware's multiple layers of stainless steel with a core of fast-heating aluminum. Select from 3 different styles of Cristel cookware, each made in France with lifetime guarantees. 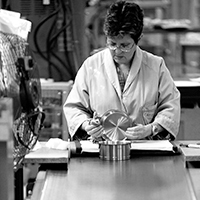 Read about the origins of this top quality French-made cookware. Cristel is crafted with the same care and quality that is in other types of gourmet stainless steel cookware, such as All-Clad. 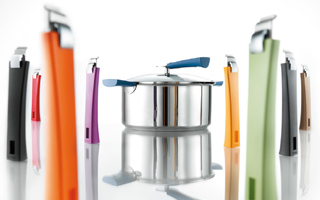 Cristel cookware is new to the U.S. but and is now sold in 33 countries!